Release Date: 6. 5. 12. Summary (snagged from Goodreads): C. S. Lewis was one of the most influential thinkers and writers of the twentieth century. But who influenced C. S. Lewis? What were the sources of his inspiration? Who were his spiritual mentors? What I Loved: I absolutely loved discovering and savoring the writings of which were C.S. 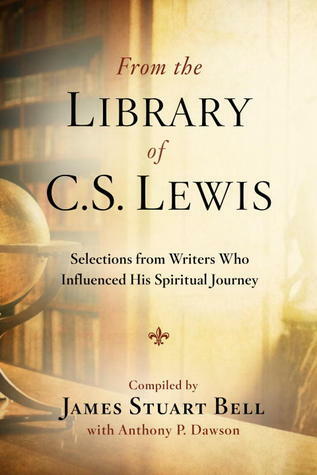 Lewis' main circles of influence, in the literary and theological sense. This book is awe-inspiring. Just to glimpse those bits of influential story and theology and unique perspectives on Christ and on life that C.S. Lewis took to heart, and assuredly to his own desk when writing his own great works, is greatly enlightening and full of such wisdom. That said, these bits and pieces of faith and life, shown from the very writings of countless writers who had inspired Lewis so very deeply throughout his life, in turn, have had me as equally inspired and influenced. I will be keeping From The Library of C.S. Lewis as a dearly beloved part of my own personal library, as I feel that returning to its unique words from time to time will most definitely be found as quite becoming of myself and my Christian walk with the Lord. This book houses a vast collection of brilliantly thought provoking bite-sized masterpieces, and simply cannot be taken in in one or two or even three sittings with it. This is an influential book that rightly deserves to be revisited and pondered upon for the years to come. And I, for one, am looking forward to returning to it from time to time. What I Didn't Like So Much: This book took me forever to read through, not because I didn't find it interesting, but rather because I found it to be so moving and deeply thought provoking. This book must be taken in sips and not in large swallows, as this is not an easy light read. But this collection of writings is most assuredly a worth-while one, if indeed you are looking to embolden your faith and perspectives on life. I'm Recommending This Book... If you happen to love the works of C.S. Lewis, or are looking for glimpses of varied texts, drifting from mediums such as poetry, life, theology and some fantasy even, then you will find this collection of writings to be a rightful breath of fresh air. James Stuart Bell (pictured at left) wrote his master’s thesis on C. S. Lewis, receiving his M. A. from University College Dublin, in Ireland. 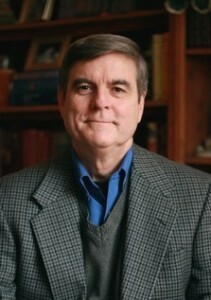 The owner of Whitestone Communications, the former executive editor of Moody Press, and director of religious publishing for Doubleday, Bell has authored several books, including The Complete Idiot’s Guide to the Bible. He is married with four children and lives in West Chicago, Illinois. Anthony Palmer Dawson has served on the Marion E. Wade Center Steering Committee for nearly two decades and provides technical and editorial support for SEVEN: An Anglo-American Literary Review. Dawson is currently the associate director of computing services at Wheaton College. He is married with two children and lives in Oswego, Illinois.